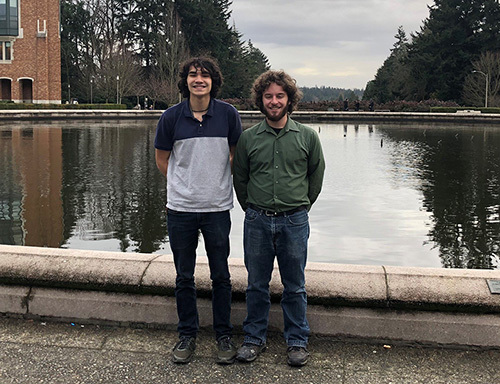 Congratulations to ISE seniors Ivan Iturriaga and Robert Crittenden for placing fourth in Simio’s December 2018 Student Simulation Competition. Their team, Fields Good Inc, competed against 299 other teams from all over the world. ISE Lecturer Patty Buchanan, their adviser, says Ivan and Robert’s achievement is especially impressive given that undergraduate teams are allowed up to four students. We’re sure they’ll both go far. Congratulations! Watch a video of Ivan and Robert's project on Simio's website.